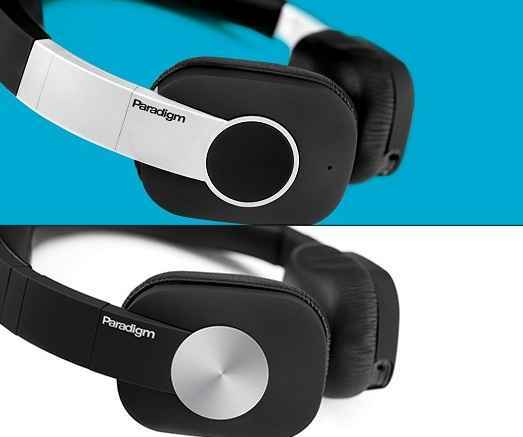 Paradigm Electronics under their SHIFT brand has just annouced the release of their new H15NC and H15 on-ear headphones. The new headphones incorporate a number of propritary sound innovations. To design the H15NC and H15 on-ear headphones, Paradigm designers used their advanced Bruel and Kjaer Head and Torso Simulator (affectionately named Angelina) that serves as a human simulator to measure the output of the headphones towards improving peformance and ergonomics. H15NC headphones feature a proprietary active supra-aural noise cancelling technology. Its dual microphone design uses sophisticated mathematical algorithms to deliver a completely silent and distortion-free noise floor. The H15NC’s onboard user interface with LED indicators allows easy access to the Noise Cancellation feature. Supple breathable leather earcups (H15NC) with Comfort-Tilt™ adjustments and unique Flexi-Point™ sliding adjustable headband on both models were purpose designed and rigorously tested for comfortable extended listening.